How are we pulling out the weeds of injustice? Surely it is the obligation of those who believe and seek to create beauty in this world that they lend their compassion, resources and time to all efforts committed to dismantling oppression. Charity is not a substitute for social equality. Until the birthright of every human being is —food, safety, education, healthcare, shelter, employment, equality, and freedom—until this is realized, there is much work to do. As Muslims, we must recommit ourselves to the upliftment of all human beings and remember the social obligations of the society in which we live. We are living during a time when income disparities, impacting communities of color, is considered the worst in the last hundred years, with large sections of society, denied affordable housing, food, healthcare, and job opportunities. Southeast Raleigh is currently undergoing gentrification and is considered a food desert. What is the role of Muslims when our communities are challenged by social and economic oppression? Southeast Raleigh youth Akiel Denkins was murdered by the police two years ago. In addition, Kyron Dwain Hinton was assaulted by state troopers and a police dog in April of this year. How can Muslims stand against and dismantle police brutality in all neighborhoods? Raleigh resident, Mosa Hamadeesa, a husband and father of four, was detained by ICE for two months, despite one of his children being diagnosed with a rare form of cancer. Can a human being be deemed “illegal” in the eyes of our religion or any other belief system? How can Muslims collectively advocate for undocumented members of our community who are rounded up by ICE and split from their families? In North Carolina, Black students are six times more likely to be arrested than white students, one of the worst disparities in the country. Now is the opportune time for unified efforts by Muslim individuals and organizations to combat social injustice. If not now when? When will we erase the lines that divide us? When will we work towards the betterment of all human beings? 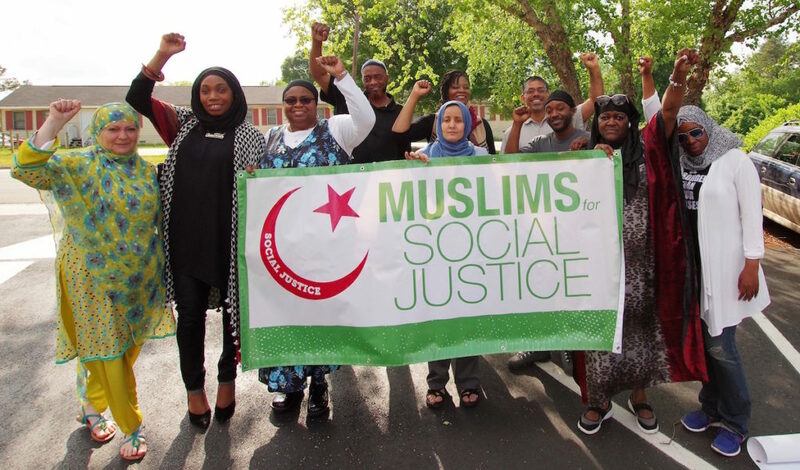 It is during this month of sacrifice, revelation, and generosity that Muslims for Social Justice invites you to remember your commitment to humanity. To consider the importance being of service, by following the prophetic tradition of transformational change within our communities and beyond. We are committed to uprooting the weeds, to creating more beauty and solidarity in the world. By raising awareness and inspiring others towards critical civic engagement. Through exemplifying compassion and a commitment to social justice and human dignity beyond religion, ethnicity, and nationality. Join Us!